Activ8 will guide you step by step towards a healthier, more active lifestyle. 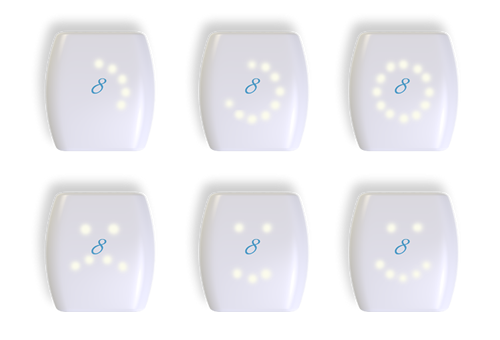 Activ8 records all your activity levels and activity types during the whole day. 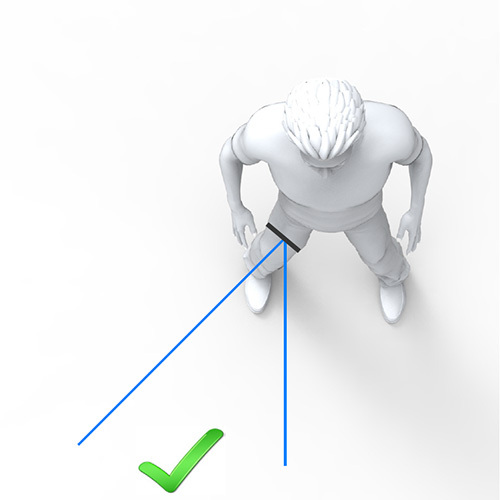 The only thing you have to do is to wear the activity monitor as often as possible in your pocket. Your activity information is shown on your Activ8 Tracker and your personal Activ8 dashboard. 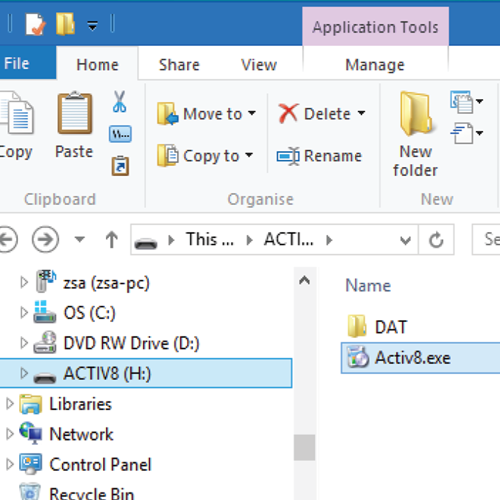 Connect your Activ8 tracker to your PC (Win/MAC) using the USB adapter. 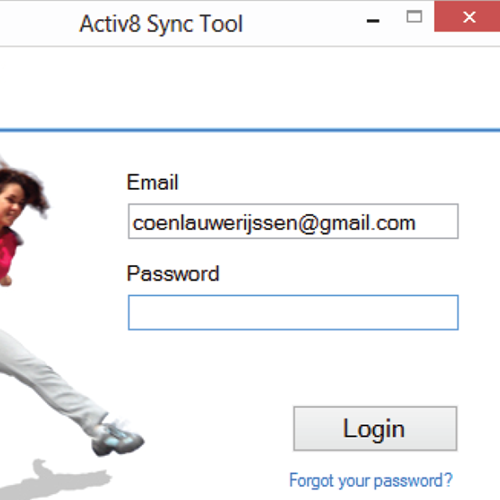 Open Activ8 & start the Activ8 sync tool. Login with your email address and password, received via email. 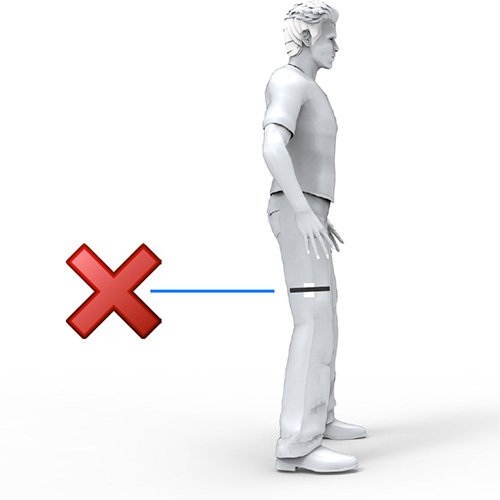 Put Activ8 in the pocket of your trousers. 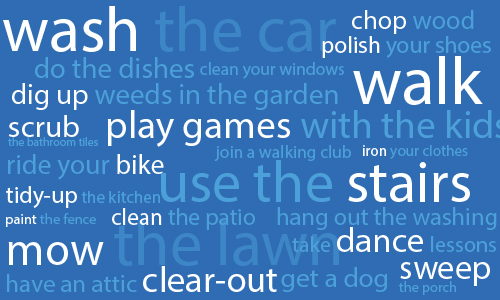 Upload your activities every 2-3 days using the Activ8 sync tool. Accurate energy measurement starts with correct placement of your activity tracker. 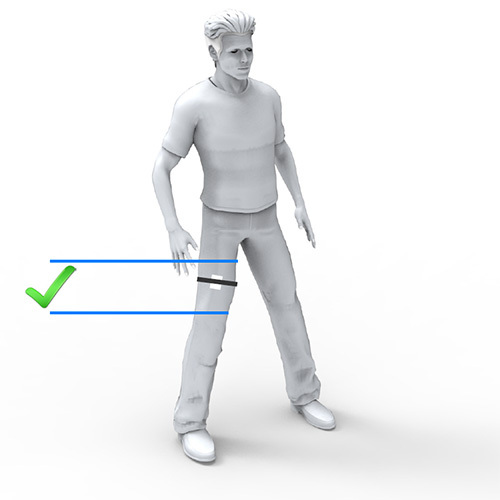 There are two body locations that are seen by professionals to result in accurate measurements: the core and the upper legs. 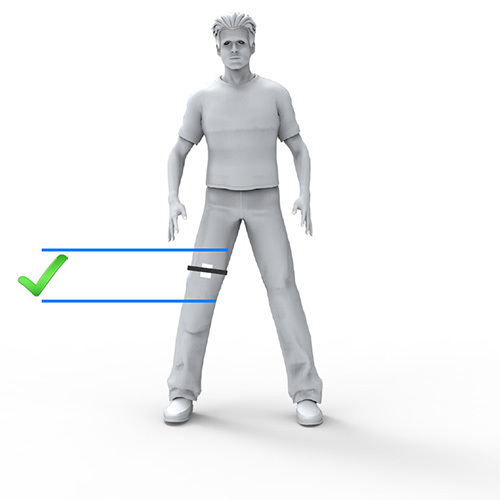 Activ8 is placed on the upper leg. Simply put your Activ8 in your pocket and you are good to go. Is your Activ8 happy with you? Wear the Activ8 physical activity monitor as often as possible to monitor all your activities during the day. The Activ8 activity tracker stores all your activities and burned calories. 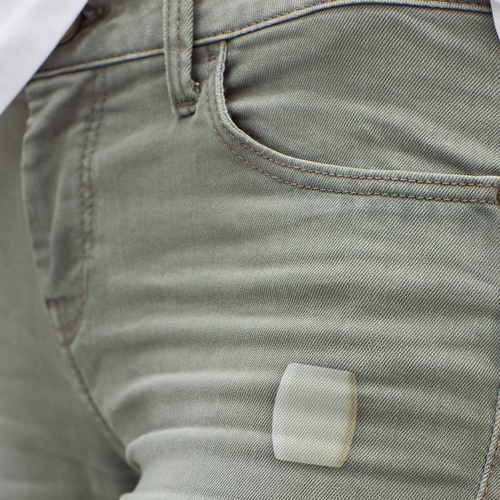 The Activ8 tracker shows you how much of your daily movement target you have already achieved (in kilo calories) by turning the device back and forward. This helps and motivates you during the day to take those few extra steps to realize your activity goals. If you have reached your daily activity target you will be rewarded with a friendly smile. You can set your own movement target on your Activ8 dashboard in your personal plan. For the most accurate activity measurements, we recommend you wear your device as often as possible. Connect your Activ8 physical activity monitor every couple of days to your computer (Windows or MAC) to send your measurements to the Activ8 server. Simply plug your Activ8 tracker to your computer by using the included USB to micro USB adapter, open the Activ8 sync tool, enter your email and password and your personal dashboard will be shown. Your Activ8 tracker is charged at the same time. Forget to sync your Activ8? No problem! Activ8’s continuously measure for about six 6 weeks without any recharge. Avoid running low on power and memory by charging and synchronising data with your computer every couple of days. If the red light is ­shining on your device, it means you need to do this soon!